RN vs. LPN vs CNA...What's the Difference? Presently, the Associate Degree Nursing Program has one of the highest NCLEX pass rates in the state of Alabama. The program was founded in 1970 and has enjoyed a successful history and is responsible for adding over 1,000 new nurses into the field. The Department of Health Professions at Lawson State Community College offers a program of study leading to an Associate in Applied Science Degree in Nursing. The program is designed to educate both men and women to become Registered Nurses (RN), prepared for nursing practice and to be eligible to write the National Council Licensure Examination for Licensure as an RN (NCLEX-RN). Graduates are encouraged to write the NCLEX-RN examination within 90 days of graduation. Nursing education is comprised of both general education and nursing courses. 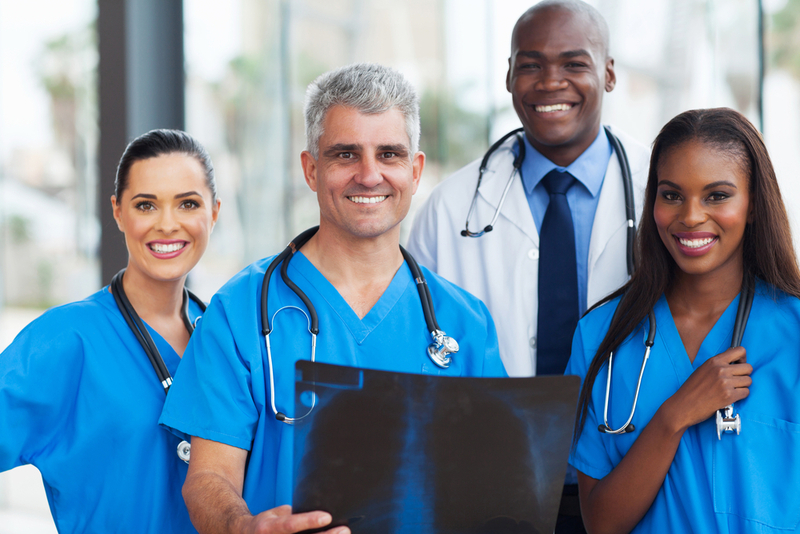 Utilizing planned learning experiences, the curriculum for the ADN and LPN to Associate Degree Mobility programs are designed to provide the student with the knowledge and technical skills necessary for competent practice. These experiences progress from simple to complex and emphasize the acquisition of skills and the application of scientific principles necessary in caring for individual or groups of individuals who are located along the health-illness continuum and are at various stages in the developmental process. The focus of the nursing education program is to prepare a registered nurse who functions as a self-directed individual, and who accepts responsibility and accountability for his/her personal and professional behavior. Through an organized sequence of planned guided learning experiences, students are provided a solid foundation upon which to develop cognitive, psychomotor, and affective abilities necessary to make sound nursing decisions and to practice competently as a registered nurse. The curriculum plan provides for the acquisition of knowledge, attitudes, and skills inherent in the roles basic to registered nursing practice including the roles of provider of care, manager of care, and member within the discipline of nursing. Graduates of the RN program are strongly encouraged to pursue advanced professional degrees. Presently, Lawson State's Nursing Program is ranked #1 in the state of Alabama by RegisteredNursing.Org. Ranking is based on NCLEX passage rates and overall student engagement in the program. Lawson has placed in the top 2 for three consecutive years running. Ranking is of both four and two-year colleges alike. Click on the icon above to see the actual published ranking. Click the "Job Outlook" bar to look up the Department of Labor Statistics on your select field of interest. What does your future career pay? What are the job prospects? Are you attempting to study a "high demand" job? Find out. The Associate Degree Nursing Program consist of five (5) sequential semesters. In the curriculum outline below you will notice the general education courses as part of the program. Faculty advise students to complete all general education courses prior to entering the ADN program.